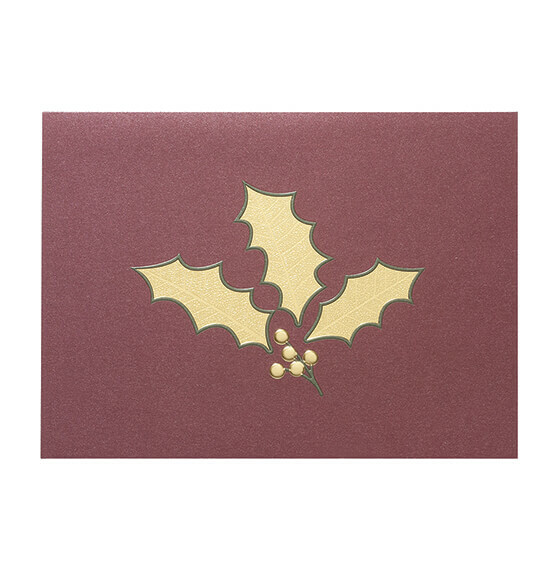 An elegant gold twist on traditional holly designs, this Holly Leaf holiday card expresses a message of peace and joy. The holly leaves are foiled in gold to look like real leaves with veins, and outlined in green embossing. 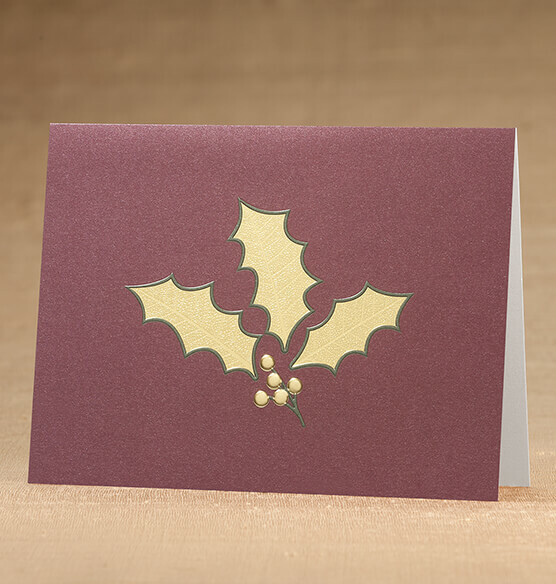 The burgundy merlot background on sparkle paper complements the holly leaves beautifully. Our exclusive Christmas cards are the perfect way to stay in touch and share special moments with family and friends during the holiday season.